This cream quickly and effectively reduces and softens corns and hard skin. Made with Salicylic acid, whose exfoliating action improves the appearance of rough, thick skin, it is ideal for treating large areas of the feet. The pleasant, rapidly absorbed texture and the fresh Mint fragrance make it the ideal product for getting velvety smooth feet very quickly! 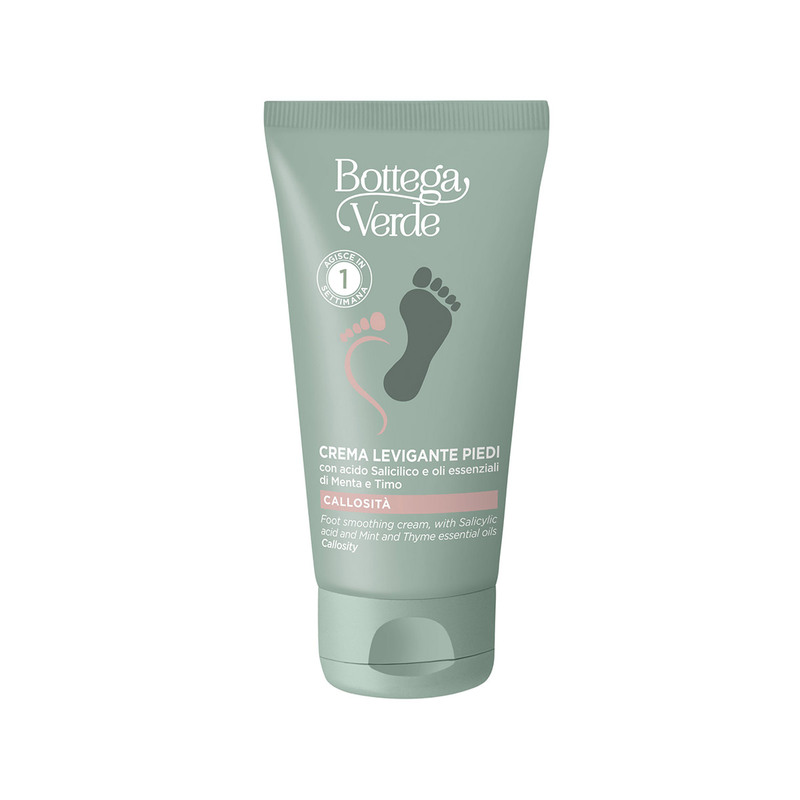 Made with Salicylic acid, whose exfoliating action improves the appearance of rough, thick skin, it is the ideal product for getting velvety smooth feet very quickly! Salicylic Acid: its exfoliating properties help to improve the conditions of rough, thick skin..
After 7 days of utilization, 65%* of users noted that their skin appeared smoother and their callosity thickness was reduced. WARNING: Avoid contact with eyes. Do not use on damaged or irritated skin. Not suitable for children. Wash your hands after use. Direction for use:How to use it: massage it directly into the areas to be treated until it is fully absorbed. Suggestions:The product is designed for those who want to reduce callosity and make the skin on their feet velvety smooth. Characteristic:Thick cream enriched with organic sesame oil and salicylic acid. 0% parabens, formaldehyde releasers and mineral oils.